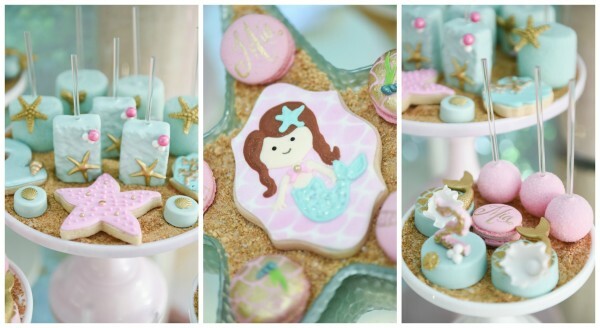 This Mermaid Birthday Party is absolutely spectacular!!! 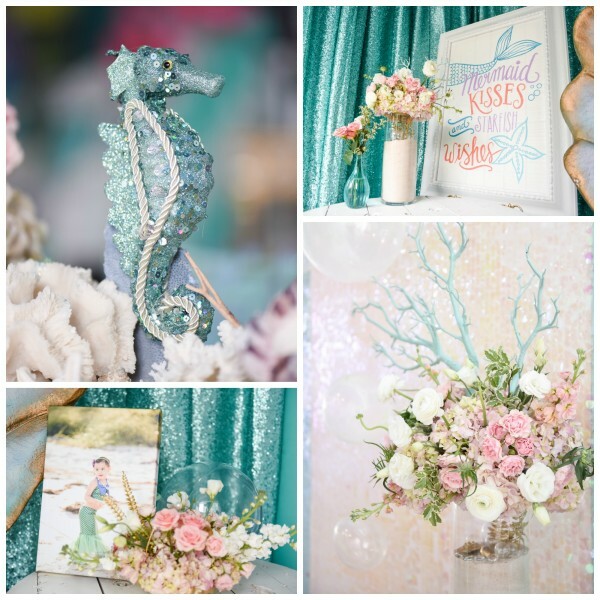 The vendors truly did an amazing job of creating the most magical mermaid oasis for one special little girl! 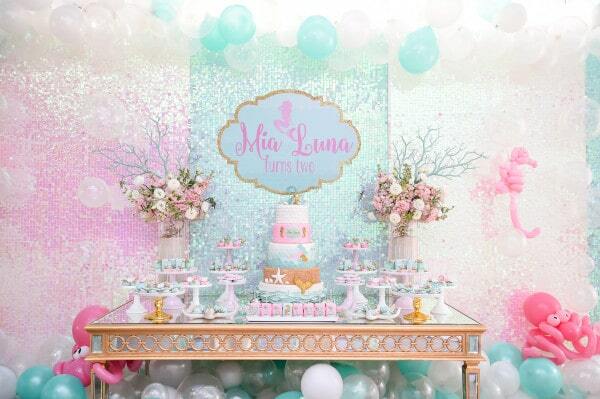 From One Inspired Party: Mia Luna’s is a sweet spirited beauty. 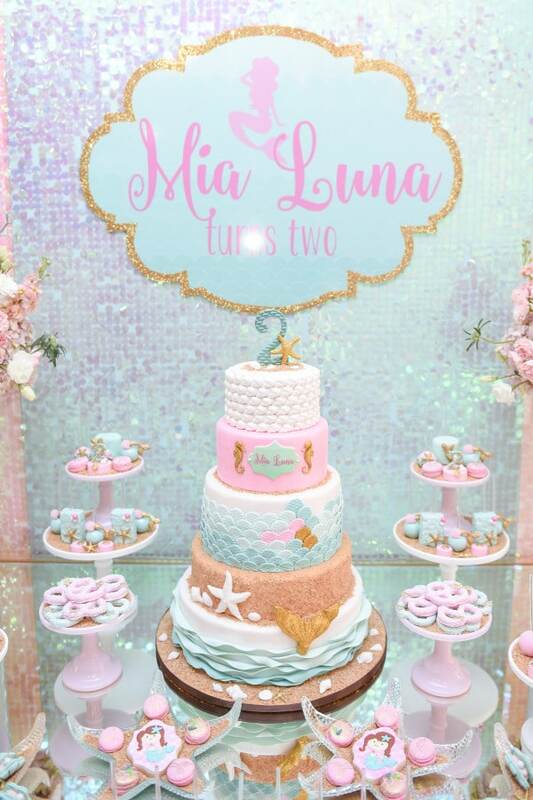 For her second birthday, her mom wanted us to create a mermaid oasis for her. 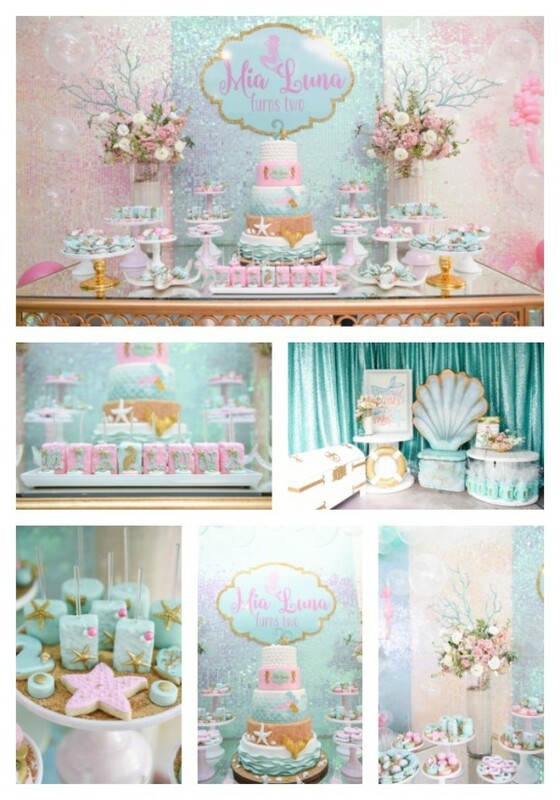 Her words of “I want the place transformed” had power to me so we set out to do that, transform our kids play area into a beautiful under the sea retreat. 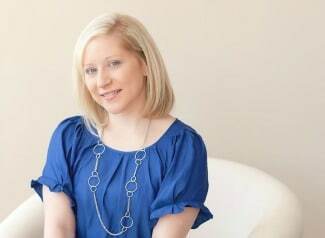 With Johanna from Bambini Soiree, the design was very organic. From the very beginning, I knew I wanted paillettes to be included in our design but they were very hard to find. We designed without them and the celebration was going to be beautiful. 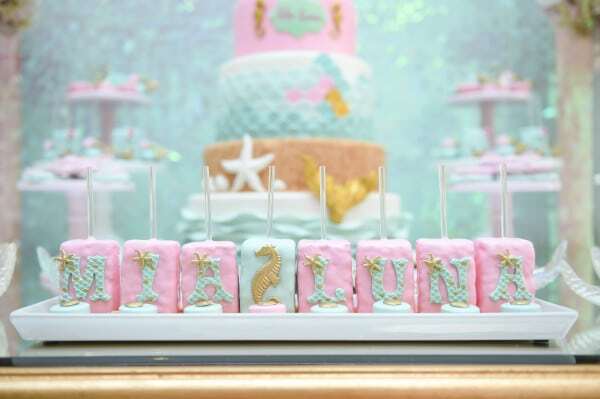 Half way through the planning, Johanna found the fabric in the two colors and our celebration began to take shape. Draping almost every single wall in the play area, we created the underwater illusion. 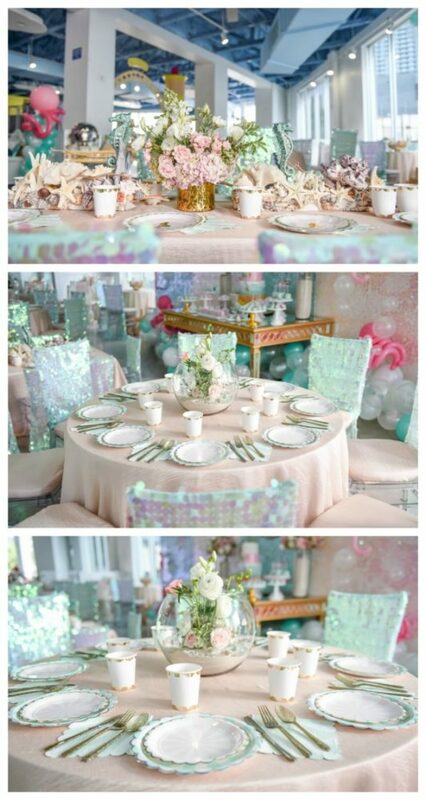 The shine and shimmer from the specialty fabric was the perfect balance for our whimsical creation. We needed a place for people to place their gifts and to display our favors. The entrance was the place to do that but it was a little bit of a challenge because the space is very narrow. 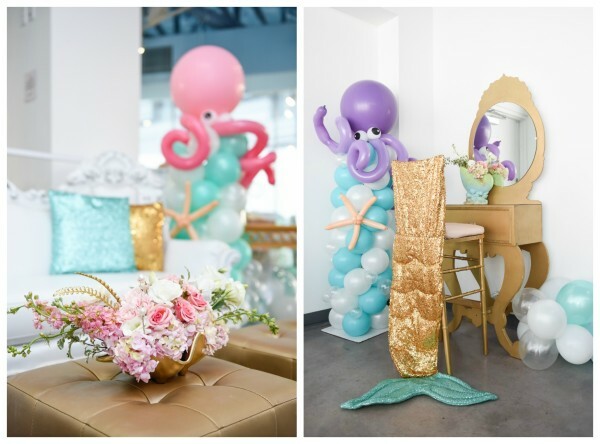 Using pieces that were already existing in the Bambini Soiree inventory, we created a beautiful entrance, with a mermaid chair, oversized sign, white spools, florals, a treasure chest and clear bubbles. 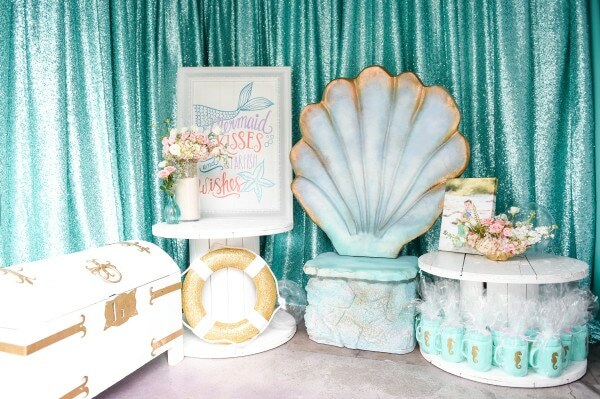 Our entrance was completed with a stunning picture of our birthday girl in full mermaid gear taken by the uber talented Christy Mendoza from Tutti Bambini Photography. 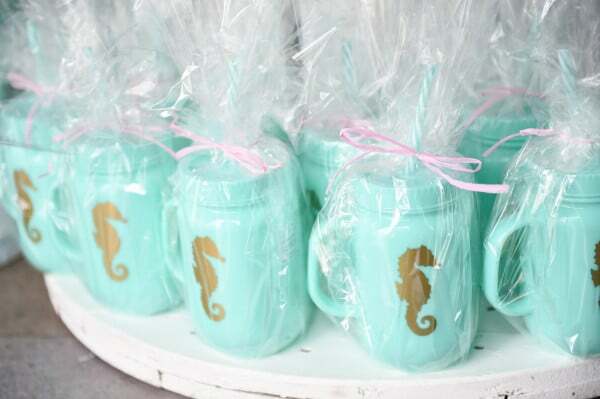 I found the perfect paper goods through Nicks & May , who also personalized some of them with mermaid silhouettes for us. Our pastry chefs and catering team did an outstanding job creating the perfect confections and food to feed our hungry crowd. One of my favorite touches were the floral arrangements created by The Gilded Group. 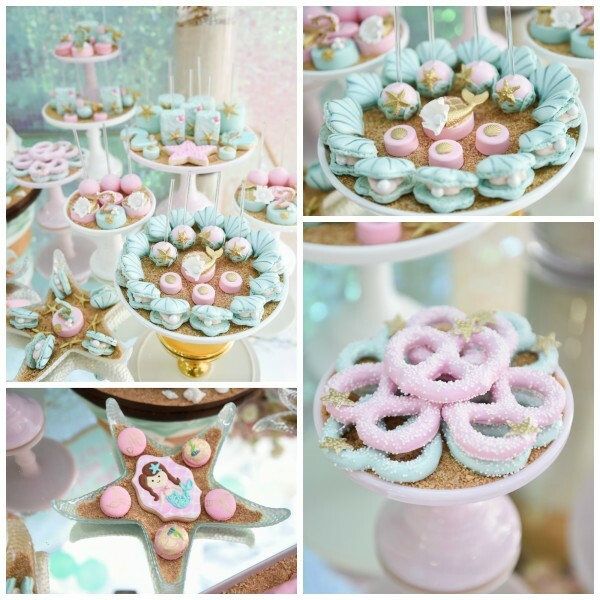 They were soft and playful and anchored all of our tables so perfectly. 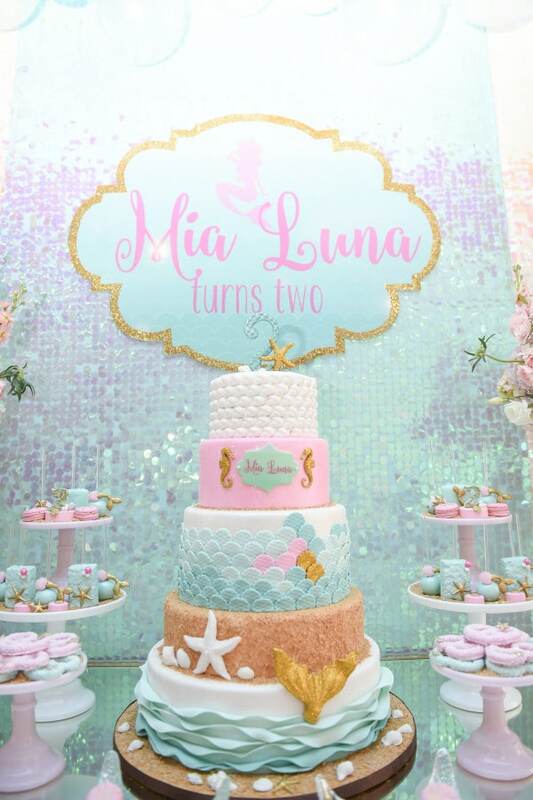 Happy Birthday Mia Luna, may you live to be a hundred! I was honored to be a part of your celebration! 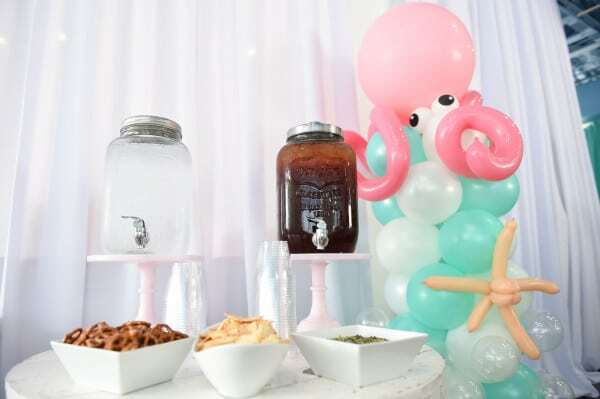 Check out these other gorgeous party features on Pretty My Party! 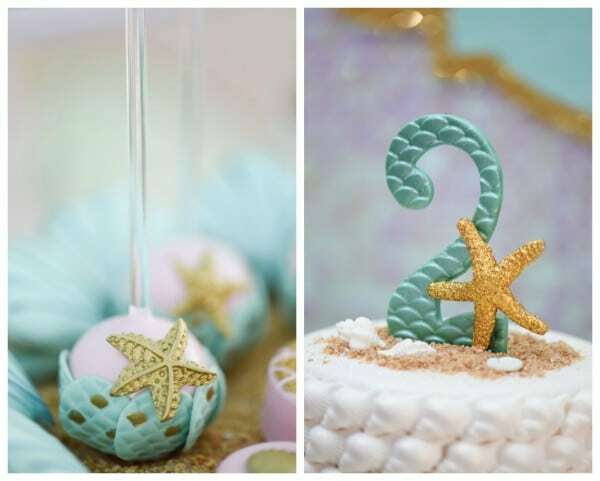 What’s your favorite detail from this Mermaid Oasis Party? Let us know in the comments below!